Traffic cost the average UK driver £1168 last year in fuel and time wasted, with London the second worst city for traffic in Europe. 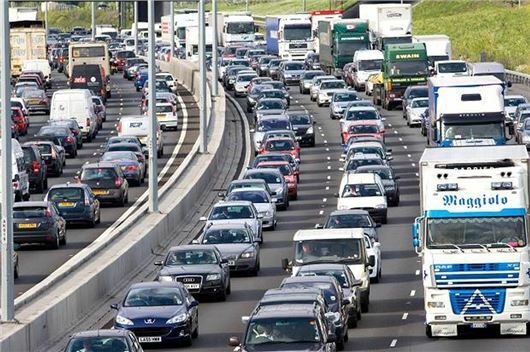 That's according to a study by traffic analysts INRIX, which concluded that drivers in the UK spent an average of 31 hours a year in traffic during peak times. The direct and indirect costs of congestion to all UK motorists amounted to over £37.7 billion in 2017 - up from £3.3bn in 2016. The UK ranked as the tenth most congested country in the world, third amongst developed nations, of the 38 countries analysed. It was the third most congested country in Europe, behind Russia and Turkey. London remained the UK's most congested major city for the tenth year in a row - which comes as no surprise. London also ranked second in Europe after Moscow and seventh in the world overall. Drivers in London pay over double the national figure, with £2430 each, and spend an average of 74 hours per year in gridlock (an increase of one hour since last year). Congestion in the capital as a whole costs £9.5 billion. After the capital, Manchester, Aberdeen, Birmingham and Manchester round out the top five most congested cities in Britain. Drivers in Manchester spent 39 hours in congestion during peak hours, and 10 per cent of their total drive time (peak and non-peak hours) in gridlock. But it isn't bad news everywhere. Scottish cities made significant improvements from 2016 with Aberdeen, Glasgow and Edinburgh reducing peak hours in congestion by 20 per cent, 15 per cent and 10 per cent respectively.